The West Shore has some of the most exclusive lakefronts anywhere on the shores of Lake Tahoe. Typically the lots are larger and have more depth away from the highway, some of which are grand estates with multi acreage lots. For boating enthusiasts, the West Shore has more calm waters since the storms and afternoon winds usually come in from the West and pick up steam as they head out to the East. Popular resorts on the West Shore are Sunnyside Resort, Westshore Café and Chambers Landing. For skiers, Homewood Mountain Resort is a quaint ski area located in Homewood, but major upgrades are planned including a new village with shops and restaurants, a new ski lodge which will include a beautiful swimming pool at mid mountain and a new 5 star hotel. The West Shore has 4 marinas which include Sunnyside Resort, Homewood High & Dry, Obexers and Meeks Bay Marina. 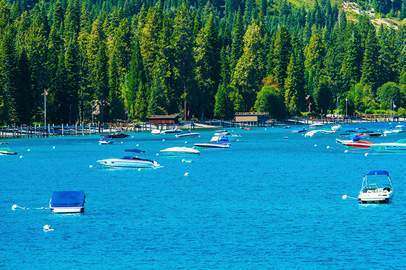 Many people feel the West Shore has more subdued feel which feels like you are truly in a resort atmosphere in the high Sierra’s. Its nickname is the Magical West Shore. Depending on lot size, lakefront feet, pier or no pier, age, size, and other amenities, you will find a wide range of lakefront home prices. As experienced long time Realtors here at Lake Tahoe we can explain the differences and help you find the perfect Lake Tahoe lakefront home to match your needs.